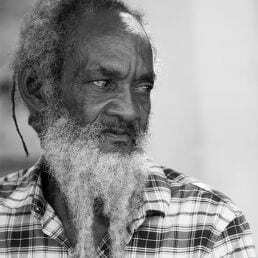 Verald Vassell more popularly known as Ras Iyah V, a Rastafarian for over fifty (50) years is highly considered a Ganja Advocate and defender of Human Rights in Jamaica. He is currently the Chair of the Westmoreland Ganja Farmers Association. He is also a Member of the Board of Directors of the Cannabis Licensing Authority , Co-Chair of the Rastafari Nyabinghi Administrative Council, Former Chair and founding member of the National Coalition of Grassroot Ganja Farmers and Producers Association, as well as a Former Chair of the Rastafari Coral Gardens Committee. In 2016 Ras Iyah V was invited to the United Nation General Assembly Special Session (UNGASS) where he addressed three (3) different sessions of the UN. Ras Iyah V is the founder of Rastafar i RootzFest Jamaica’s first Ganja exempt event under the Dangerous Drugs Act Amendment 2015. We welcome back Ras Iyah V in the Garden of Mary for an in depth speaking engagement on Jamaican Cannabis & Rastafari Culture.